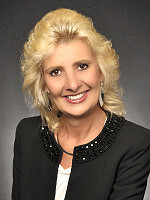 Kimberlee Frank is known as "The Real Estate Junkie" is a Foreclosure Short Sale Expert who is regularly sought out by the media. She has been featured on ABC, NBC, FOX, CBS as well as Wall Street Journal, Newsletter, USA Today and numerous other publications. She is the best selling author of "Big Ideas for Your Business" (Advantage Media 2009). She is also 1 of Americas Premier's Experts.